Joyce Marie Cacka age 66 of Litchfield, Minnesota, formerly of Silver Lake, passed away November 12, 2018 at her home. 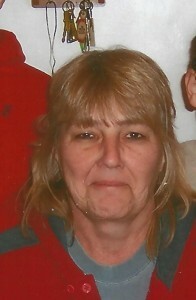 She was born December 5, 1951 in Hutchinson to Florian and Bernice (Wawrzyniak) Fiecke of Winsted. Joyce grew up in Winsted, attended elementary school at Holy Trinity Catholic School, and then attended Howard Lake High School. Joyce was united in Marriage to Dennis Cacka on April 26, 1969 their marriage was blessed with three children, Kari, Jean, and David. Dennis and Joyce lived north of Silver Lake and engaged in farming until 1990, they then moved to their present home near Lake Minnebelle in Litchfield. She had worked at Plasti-Fab EPS Product Solutions formally Poly Foam in Lester Prairie from April 1989 to August 2017. She enjoyed collecting owl figuriens, planting a garden and flowers in the spring, her favorite flowers where wave petunias. She also enjoyed puzzles, word search, country music and watching the Vikings. Joyce is survived by Dennis her husband of 49 years, daughters Kari (James) Klima, and Jean (Jason) Horrmann of Silver Lake, grandsons: Eric Klima, Jacob Klima and Carl Horrmann. Son David Cacka and his family of Hutchinson. Brother and sister in Law: Dale & Maggie Cacka, Sisters Marlyce (Pat) Fistman and Linda Fiecke. Many nieces and Nephews. She is preceded in death by her parents Florian & Bernice Fiecke, Parents-in-law Edward & Angeline Cacka.